At The Main Stage, we believe strongly in offering opportunities for children to be a part of live performance. Our children's program is set up with the goals of producing a full musical to be presented to the community through a high quality theater learning experience in our classes. 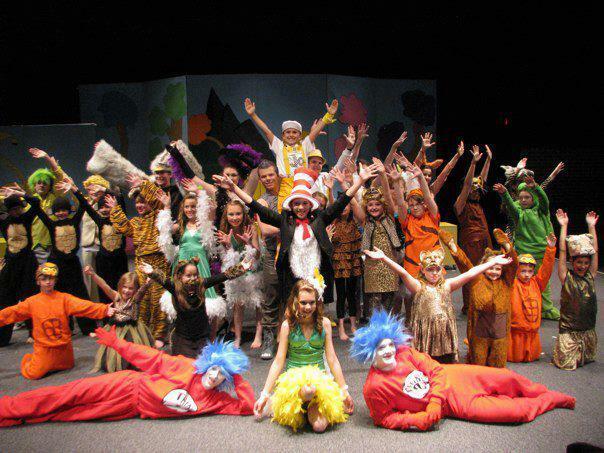 In our Children's theater productions, children will not only learn songs, dances, and lines to put on a show, but they will build character, confidence, and skills that they can use in their everyday life. Not only do they walk away knowing they performed in a successful performance, but they will leave with increased confidence and a sense of community. Through our student theater "classes" all enrolled students receive instruction in singing, acting, and dancing as well as experiencing the pride of performing a top quality show at the completion of the classes. The Main Stage, Inc. typically does two Student Theater productions each year. These productions are open to students K-12. There is an enrollment fee to be in the program which helps to cover the costs of not only the classes, but producing the musical from rights and royalties, and theater rental to sets, music, and costumes. Our staff are all not only experts in all aspects of musical theater; they are also all educators who work in area schools. They know how to work with and teach students and this is evident by seeing the end results of our classes- our theater shows. We incorporate all school age children into our shows for the reasons of the older students helping to mentor and guide the less experienced students. It is fun to see the bonds and sense of community that is built within our classes through the process of learning a show.